Your needs are important, especially when it comes to making one of those bigger purchases. You may not always know when you start shopping what exactly it is you need. 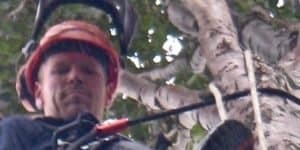 If you’re looking to buy your first hedge trimmer, there are a number of questions that can come up such as how long of a blade you need, and whether the device should be cordless or have the need to plug in. You may also need to know how long can to use the trimmer at a time, if it’s battery operated, and how much weight you are capable of carrying for that period of time. 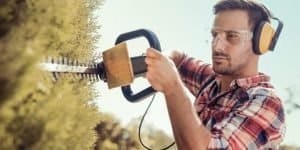 There are a lot of factors to consider when purchasing a product like a hedge trimmer, and this article is here to help by looking into one of the more popular hedge trimmer brands, Homelite. Homelite is an outdoor tool manufacturer that has been in existence for nearly 70 years. That alone shows that the company has stood the test of time, having been able to provide products that customers continue to buy. They are frequently available in places like Home Depot and Walmart, making it easy to find. This is important because it allows you to spend less time looking for the right tool, and more time completing your tasks. Homelite also has a very simple and easy-to-navigate website to provide you with information on the products, as well as where to find parts and places that can fix the equipment should it have any problems. 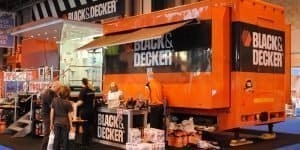 Looking for a new trimmer? Read our comprehensive buying guide! 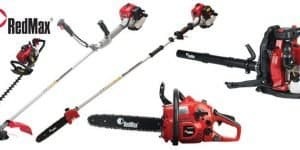 The company is known for making things like string trimmers, hedge trimmers, blowers, pressure washers, chainsaws and more. They have a variety of products which means that if you find that this is a brand you become fond of, you can stick to it for many of your outdoor tool needs. Homelite is a great brand when you are just looking to keep it simple and purchase a great piece of equipment. It isn’t a large, flashy brand but it will get the job done. Homelite began in 1921 in New York. Their very first creation was a small gasoline electrical generator. This generator allowed people living outside the major cities to have electrical power, when previously they weren’t able to access it. This was a huge improvement for those people, because today we know that electricity is a necessity for quality living. Undoubtedly, being able to have working lights as well as other needs filled made the lives of these people a great deal easier. In 1946, that was followed by the company creating its first chainsaw meant for one man operations. This was a big deal at the time because most chainsaws were incredibly heavy and difficult, if not impossible for a single person to use. With a lighter, easier to use chainsaw, production could be doubled simply because each man could use his own saw rather than having two men sharing a single tool. In 1963, Homelite followed up that achievement by introducing the first lightweight chainsaw to the world. This machine weighed in at about 12 lbs., making it incredibly light compared to other chainsaws at the time. 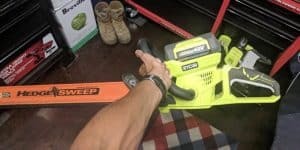 Today, most chainsaws weigh even less, coming in at a range of 7 lbs. to 10 lbs., depending on the model. Manufacturing these lighter devices is a big deal because not only does it make the product easier to use, it also reduces the strain on the person using it. By putting in less effort, you are able to get more done with the help of lightweight products like these. Being a smaller company, Homelite is a part of Techtonic Industries. Today, the company focuses mainly on selling lawn and garden equipment, as well as light-duty chainsaws made for the average home consumer. It keeps things simple and easy by providing just a few models of each kind of tool. This allows the company to keep the focus on making those tools great, not to mention that it’s a lot less confusing to have 3-4 models to choose from rather than a dozen or more. An easier shopping experience results in less time trying to find the machine you are looking for, and more time using it to complete whatever your task may be. It keeps customers coming back for more. This trimmer has a 2.7-amp motor with 17” dual-action hardened steel blades. It also has a 53% reduction in vibration than single-action models. That is a huge difference, and is sure to help you be more comfortable while using the trimmer. This model also has a 3/8” cutting capability and a cord retainer hook created to prevent accidental power disconnect. This trimmer comes with a debris remover in order to help keep itself clean without too much work. 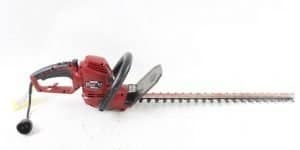 It also has a wraparound handle to provide comfort in any position and is capable of cutting branches up to 1/2” in diameter. That requires quite a bit more power than most trimmers. The 22” dual-action hardened steel blades and 3.7-amp motor make this a powerful and capable device. It also shares the cord retention hook of the 17” model. This tiny machine is perfect for small, quick jobs. At 3.5 lbs., it is very lightweight, making it easy to grab whenever it’s needed. The blades on this trimmer are 6” long, which means it’s going to be ideal for small shrubs and bushes around the house. It’s capable of cutting branches up to 3/8” in diameter. It’s cordless, using a 7.2-volt battery as its fuel source. This trimmer also comes with a 2-year warranty. 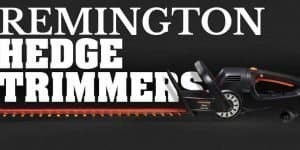 One of the most popular brands of hedge trimmers nowadays are Remington, Black & Decker, Worx, Echo, Husqvarna, Ryobi, Craftsman and Stihl. Click on each of the brands to read our opinions about them.